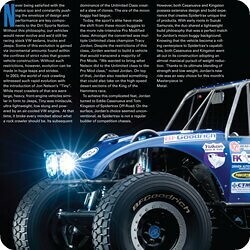 “Masterpiece in Metal”, a monthly feature by Dirt Sports magazine, has been at the forefront for debuting the cleanest & most innovative off-road rigs ever to hit the the market. Starting last November, we worked countless hours creating our own masterpiece dubbed “The Rock Bug”, a concept vehicle aimed at changing the way we all look at lightweight off-road performance. When Dirt Sports recognized this innovation and asked the Rock Bug be part of Masterpiece in Metal, our long efforts had officially been recognized. Little did we know, what goes on behind the scenes to make the Masterpiece in Metal feature so amazing is nothing short of insane. The Rock Bug would have to be taken to the private California studio of ace photographer Boyd Jaynes for an exclusive 12 hour long photo shoot. In addition, the Rock Bug would have to be “brand new” or “unused” so all detail in workmanship could be preserved for the feature. Although both of these requirements make perfect sense, getting ready for King of the Hammers 2009 and scheduling time for a photo shoot before hand is something of a challenge. Luckily for us, Boyd fully understood these struggles and patiently worked around our schedule. We finally had our session with Boyd on February 20th, just one week before the start of King of the Hammers 2009, and spent the entire day in his studio prepping the Rock Bug. Then, three months later, the June 2009 issue of Dirt Sports would hit the stands and mark our official place in Masterpiece in Metal history. 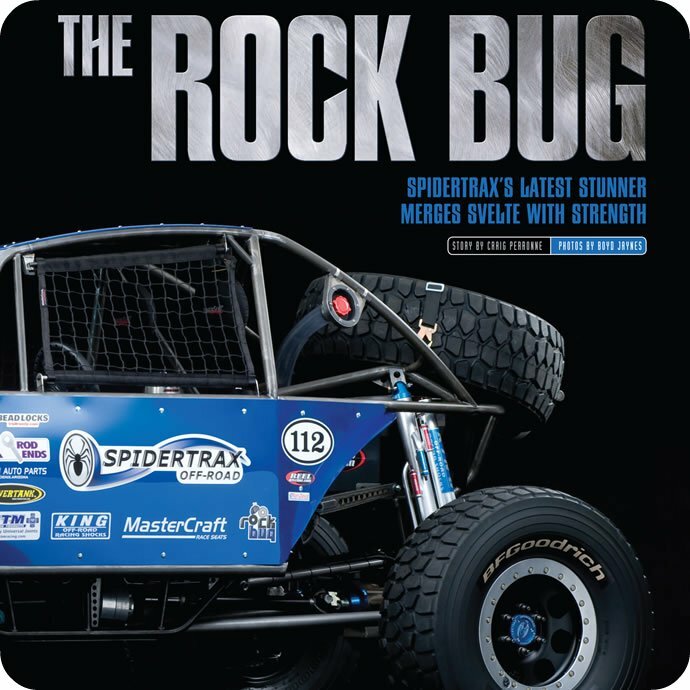 On page 52, subtitled “In the mad pursuit of everything lightweight, Spidertrax produces a stunner”, Craig Perronne writes the incredible story of what came to be the Rock Bug along side the amazing photography work of Boyd Jaynes. Now, thanks to Jim Ryan of Dirt Sports, you can download the entire Rock Bug Masterpiece in Metal article right from our blog free of charge! So enjoy the article, which is available below in both low & high resolutions, and if you haven’t already subscribed to Dirt Sports magazine be sure to check it out.